General membership meetings fall on the first Wednesday of each month (with a few exceptions). The next general membership meeting will be Wednesday, May 1st. LOCATION: Mr. V's Family Restaurant located at 407 N 10th Ave, Caldwell ID, 83605. The meeting will begin at 7:00 pm. All are welcome. Come early and enjoy a great meal and friends!! The Idaho State Horse Show Association was organized January, 1980 and incorporated in Gem County, State of Idaho, as a non-profit organization to promote the showing and care of all equine—horse, mule, donkey, and pony breeds and also to organize various clubs or shows into one group for the purpose of establishing set rules and standards, and a fair and just point system based on the actual performance of horse or rider. 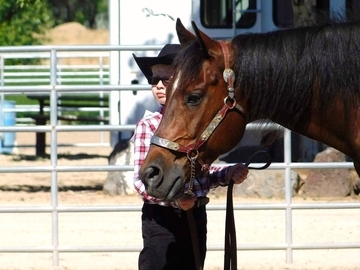 Promote the education of the people of Idaho in the development of horses and horsemanship. Encourage good sportsmanship and proper conduct among equestrians and to foster good fellowship among all persons interested in equines. For purposes of this organization the term equine will include all horse, mule, donkey and pony breeds. Encourage proper and humane handling and care of equine. 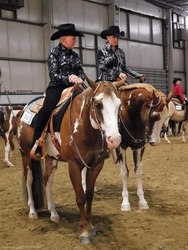 Establish and maintain an open, all breed equine show circuit. This association shall be a non-profit organization.